Brinjal(EggPlant) not everyone’s favorite. Forget children’s it is even difficult to feed it to the elders. So I try to add it in a way so that it is not seen. This time, I tried it this way. 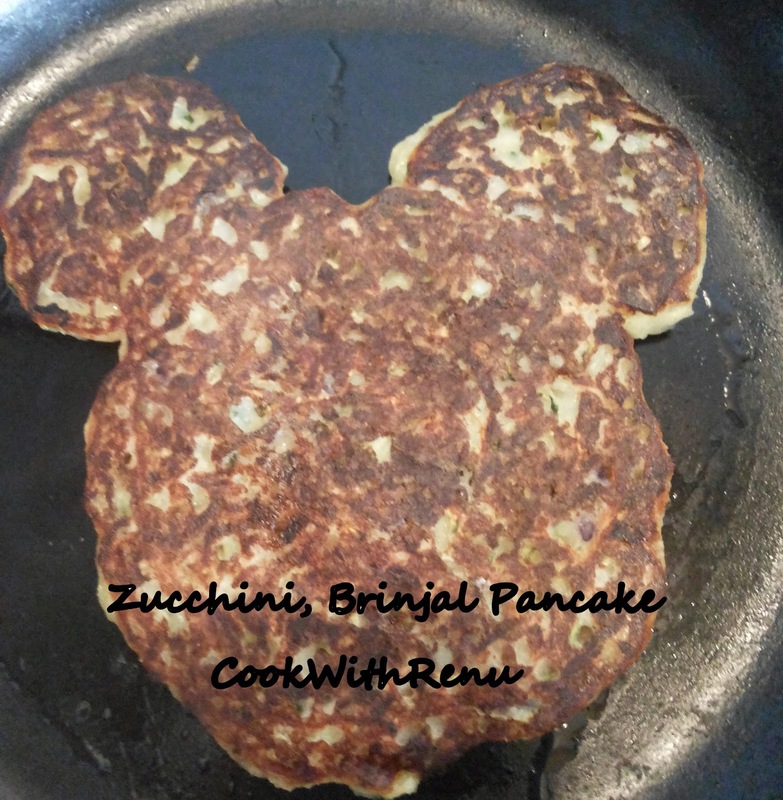 I made a pan cake, grated the brinjal and zucchini in it, made a mickey mouse shape (not perfect though), so that it is inviting as many times children’s are apprehensive to try new things. Next, Mamma, when will it be ready. Wow and it is even eaten all by themselves. Just keep reminding them in between if there is a break, did you eat the ears, how is mickey’s eyes? hehe…Mamma happy bacha happy…….. 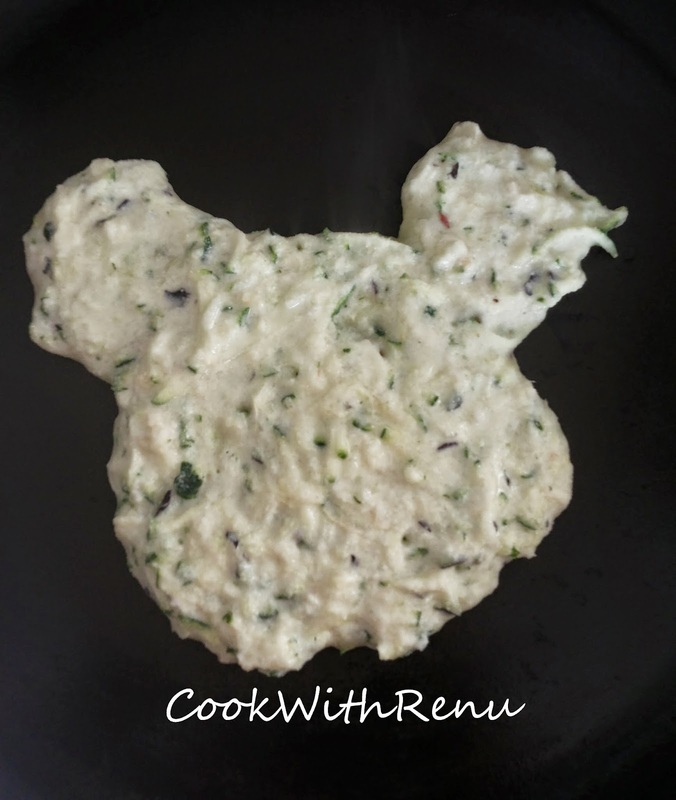 I have added eyes and a smiley face to the mickey using Imli Chutney, But could not take a photo as my child just wanted to eat the mickey. I have eyeballed most of the ingredients, but trying to put them in cup measures. One can change the measurements and the vegetables. Other options for vegetables are Carrot, Broccoli, Parsnip’s etc. 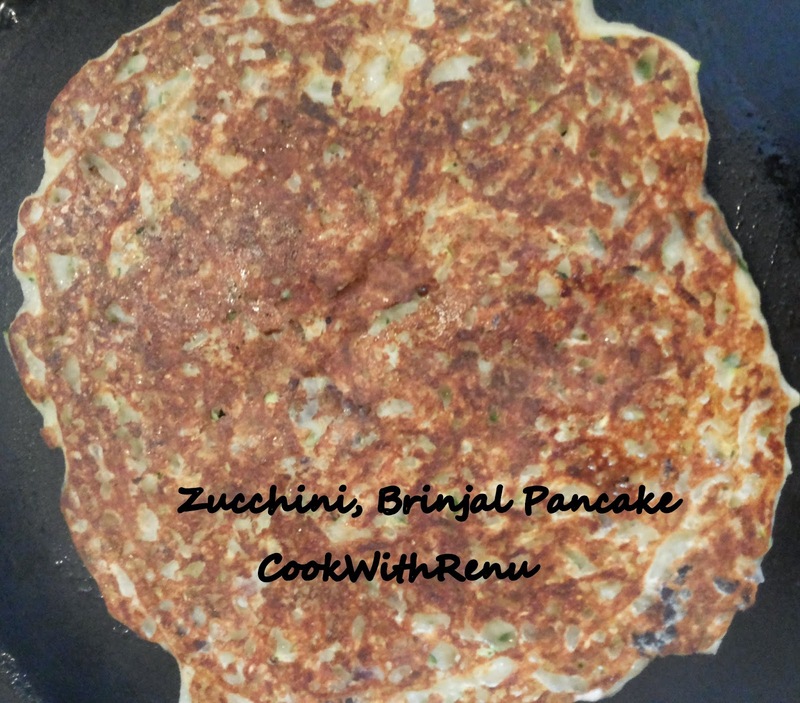 Soak the Rice Flour and Semolina/Gram Flour with the Curd. Let it rest for 5-10 minutes. 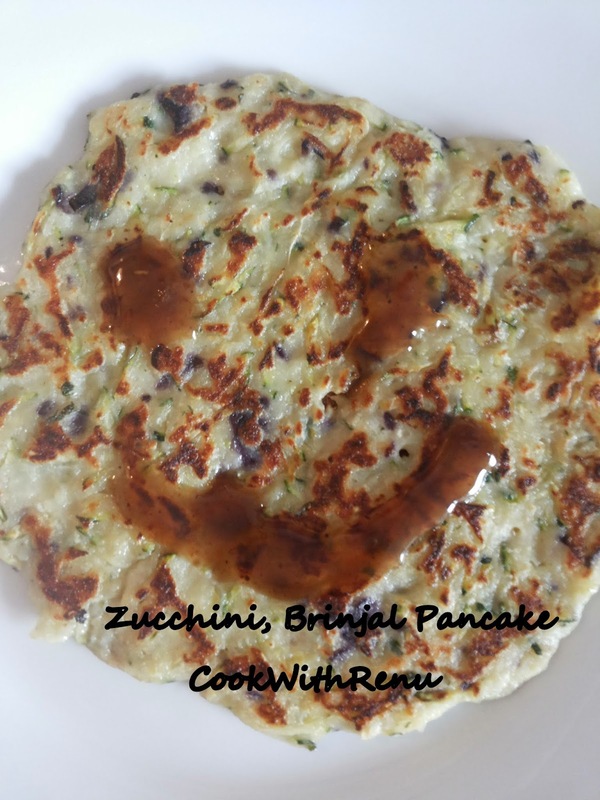 In the meanwhile grate Brinjal and Zucchini. 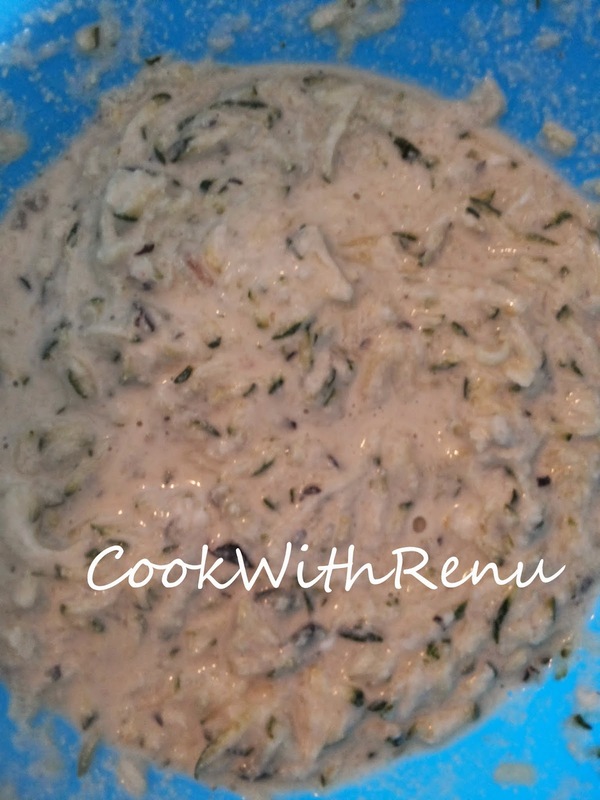 Mix the Ginger, garlic, greenchillies, salt along with the salt mixture. Add just enough water. We do not want a very thin batter. It should just hold all the ingredients together. Heat a non-stick pan. Once hot, dip an end of a tissue paper in oil and coat the pan properly with oil. Take a big spoonful of mixture and spread it on the pan, in circular motion. It will not easily spread like dosa. Keep the pancake a little thick. One can make different shapes too. Drizzle around 1/2 a teaspoon of oil on the edges after a min or so. Cook it one side. Do not flip it before the underside is cooked or the pancake will break. Serve it with tomato ketchup of Imli Chutney.